Trying to make Hadoop work with your BI tools (Tableau, Excel, Qlik, MicroStrategy, Pentaho...etc?). Join this interactive webinar and find out how to make it work! Dave Mariani ran Yahoo! 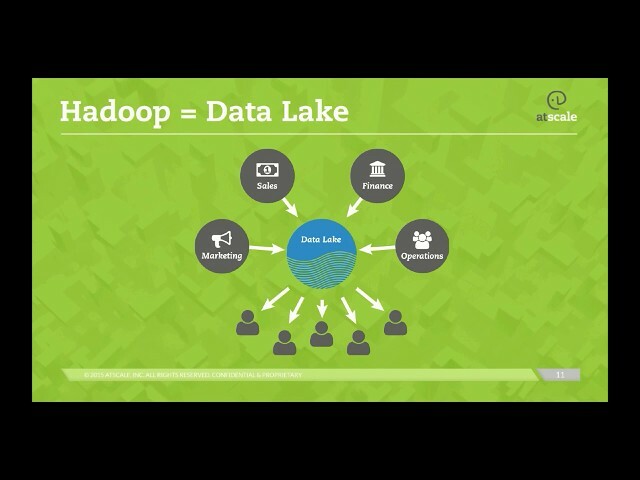 data pipelines and analytics teams at the time Hadoop was born. After Yahoo!, he went on to run engineering at Klout, where he managed a 200+ node cluster and Hive Data Warehouse of over one trillion rows. He now leads AtScale Inc, helping Fortune 100 customers run their BI on Big data.